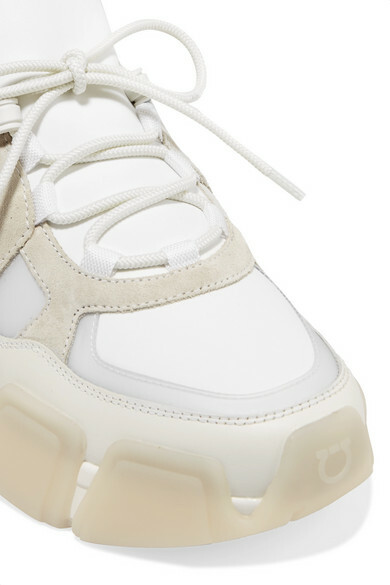 Salvatore Ferragamo's 'Cimbra' sneakers have the exaggerated chunky shape that's so current right now. 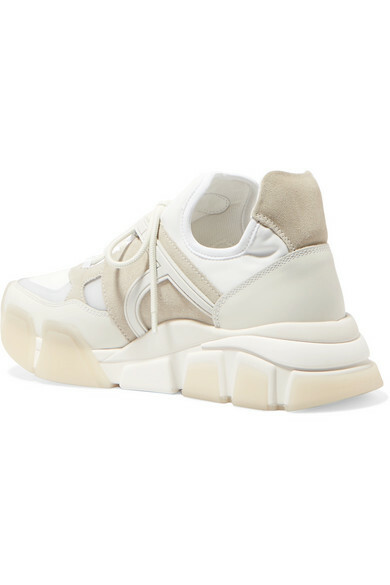 They have been made in Italy from supple off-white leather and technical neoprene and are finished with panels of gray suede. 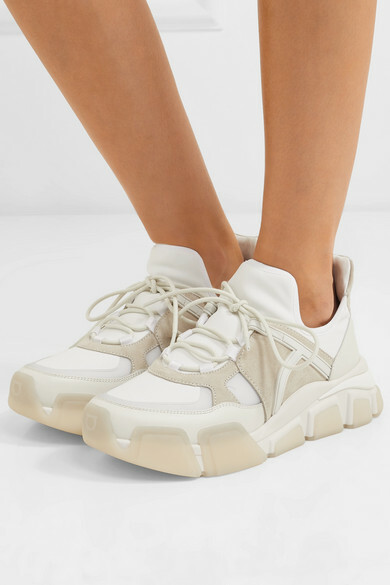 Neutrals are huge this season, and this pair means you really can work the look from head to toe. 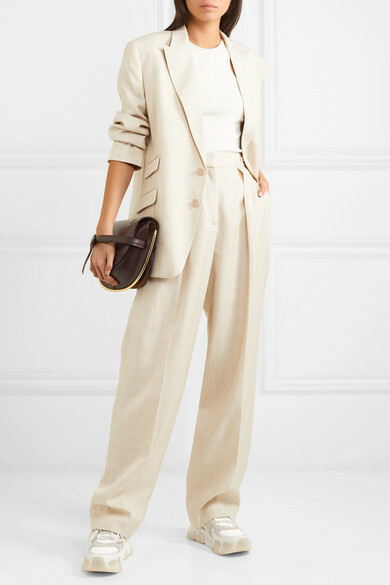 Shown here with: Stella McCartney Blazer, Stella McCartney Pants, Goldsign Tank, Loewe Shoulder bag.